Alfred Hitchcock's Vertigo tops a few quite reputable lists pretending to consist of the greatest films of all time, e.g., the Sight & Sound list compiled every decade since 1952 by the magazine of the British Film Institute and based on votes of international film critics. The topping position makes writing about such a movie a bit difficult yet it deserves a try. Whether Vertigo is the best film of all time or not and why is beyond the scope of this article but here are some thoughts that might help a potential spectator to decide on seeing it or not. In Vertigo James Stewart is recently retired San Francisco detective John 'Scottie' Ferguson who is afraid of high places. He is hired by an old acquaintance of his, Gavin Elster (Tom Helmore), to investigate the mysterious activities of Gavin's wife Madeleine (Kim Novak). She is dangerously obsessed by one of her dead ancestors and in the process of his investigation Scottie also becomes greatly obsessed ... with Madeleine and her beauty. 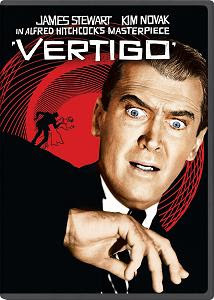 To an extent, Vertigo suffers from some of other Hitchcock's movies flaws although they are not so evident or annoying here. There are a few inconsistencies throughout the script, an improbability here and there, some sequences that seem hurried over and a resolution looking way too easy at the end. Then again these are all quite subtle here and readily excusable compared to Hitch's other films. And because of this we are not going to hunt for Vertigo's shortcomings. Instead, we will focus on pointing out why this movie is among Hitchcock's best without trying to judge whether it's the greatest of all time. So, in addition to the statement that Vertigo is one of Hitchcock's least flawed movies, which is a merit on its own, there are other explicit virtues that deserve to be mentioned. The acting of the leads is quite strong and notable. James Stewart is great as in most of his roles although this is not his typical one. Kim Novak is simultaneously mysterious, fragile, dangerous and tragic. Barbara Bel Geddes in the part of Scottie's friend Midge Wood is charming and caring beyond hope. All of these performances are full of tension and easily memorable. A strong mystery envelops most of the movie and a twist or two add to the solid suspense in Vertigo. The twists are not forced and the mystery is captivating. The score is apt and it blends with the movie very well. The cinematography and the use of colors are gorgeous. The story is interesting (although a bit absurd) and the problems exposed in the movie are quite timeless. Some consider Vertigo to be Hitchcock's most personal and intimate film. There is certainly a lot of depth here and the delicate subjects of love and existence are handled with mastery and empathy. A dream-like sensation surrounds the shots and makes the narrative even more haunting in harmony with the various obsession themes intertwined into the movie. This is a film quite different than North by Northwest (one of Alfred Hitchcock's other classics) and not as easily accessible as it but similarly to the latter it could be chosen as a great starting point for exploration of the director's cinematic legacy. Vertigo is tragic but beautiful. It leaves you with haunting thoughts and memories so you are not going to regret seeing it if you manage to avoid setting your expectations way too high. I've recently visited an interesting website called musicMagpie.com, which offers to buy all of your unwanted CDs, DVDs, Blu-ray discs and games. "A very nice idea", was my first thought although after my initial admiration and further investigation, there are a few aspects that will not suit everyone. To begin with Music Magpie's positive sides, I should mention that the process of selling your unwanted discs seems quite straightforward and easy. You enter the barcodes of your DVDs, Blu-rays, CDs, etc. and their evaluation engine gives an instant price for each of your items. If you are happy with the offered price, Music Magpie offers free shipping so you don't have to pay for anything by yourself. You can choose between UPS and USPS shipment and there are further options to select the exact shipping method. The payment is by check, which is good if you like checks. Another good possibility is to scan barcodes with your webcam instead of typing them. Finally, you can also download musicMagpie's free applications for Android or iPhone/iPad/iPod and turn your mobile device into a barcode scanner. Independently of how good this service seems at first, there are several drawbacks that should be considered before getting too excited. To begin with, the service is currently available only in the United States. This is not a surprise having in mind the shipping costs for tangible products. Another issue could be the minimum number of discs you can sell. Due to the shipping costs, the minimum is 10 items per shipment. There is also a maximum number per a transaction but this is not an actual limitation. What could be a drawback too is the paucity of payment methods. The only option is payment by check and although checks are fairly common in the US, not everyone likes them. Also, from what I've tried, it looks like recordable / rewritable discs are not accepted. And last but not least, the price musicMagpie offers for your Blu-ray discs, CDs and games is not very high. It should be treated more as a price for unwanted items rather than a price somebody who really wants your discs would pay. So, to recapitulate, if you live in the USA, don't mind getting check payments and have at least a dozen of unwanted discs that just take valuable space in your home, musicMagpie could do you a favor. If this is not your case, services like eBay are probably a better option. La migliore offerta is the latest film of director Giuseppe Tornatore (Nuovo Cinema Paradiso, La leggenda del pianista sull'oceano, Malèna). Like most of his movies, it is hard to give it a straightforward assessment. The movie is not as good as Tornatore's masterpiece Nuovo Cinema Paradiso but it's better than some of his other films like Malena. It's a movie the European audience will most likely admire and at the same time it's hard to tell whether American spectators would appreciate it. There is definitely a lot to be appreciated in this film but there are also a few aspects that could have been done better (in my humble opinion, of course). This is a movie, which is hard to be reviewed properly without the threat of spoiling the moviegoer's experience so be warned of possible unwanted "hints". La migliore offerta (The Best Offer) is about a famous and eccentric expert art auctioneer who runs into a great challenge in the face of much younger heiress Claire (Sylvia Hoeks) who is not less eccentric than him. She wants from the auctioneer Virgil Oldman (Geoffrey Rush) to assess her inherited art collection while simultaneously behaves in an inexplicable manner. Gradually, Oldman decides this mysterious girl is probably the woman of his life. Virgil's younger and more experienced with women friend Robert (Jim Sturgess) encourages him in the delicate affair while helping him to repair old pieces of odd machinery. Giuseppe Tornatore tries to make an artistic film about art. The movie is shot in beautiful exterior locations while almost all of the inside shots are made among sculptures, luxurious furniture, precious paintings, etc. There are many parallels drawn between the world of art and the real life (especially love), both art and love being among the passions which most often lead to strange behavior and obsession. There are also a few of Tornatore's great lines about life in the vein of his Una pura formalità's "advice" that you should never meet your idols in person because they will most likely disappoint you. The acting in The Best Offer is amongst its major assets. Geoffrey Rush shows a great performance as usual making easily believable all of the eccentricity, torment and obsession of his character. Jim Sturgess seems better a movie after a movie and Donald Sutherland in the role of Virgil Oldman's long-time friend despite not having a lot of screen time is quite important for the story. As for the women in the movie, it could be said that Kiruna Stamell episodic appearances as a midget girl in a bar are probably more mystic and interesting than Sylvia Hoeks in the leading part of the mysterious heiress but this could be actually done on purpose. Speaking about the weaker aspects of the movie, the predictability is one of the main issues. You can guess almost from the very beginning the direction of the plot and at least 10 minutes in advance where it is heading towards the end. Another slightly bothering matter is that the story is not very likely to happen in reality but considering it's a movie, the narrative does not cross the line of complete implausibility. Finally, the last scenes (you will know which ones when you watch the film) are to an extent redundant and I think the movie would have only benefited by finishing a bit earlier. Most of the fans of Tornatore's previous films will find La migliore offerta quite good. It's slow paced but rarely boring and delivers on expectations. For people who are not that much into the Italian director's work, chances are this movie is not going to change drastically their opinion about him. I had serious suspicions about the quality of film Spring Breakers but based on the user rating this movie had on IMDb and especially on its Metacritic score I took the risk and decided to see it. Well, it was a huge mistake. And while I can see where its average user rating could come from, I am completely confused in regard to its Metacritic rating. Usually critics do not vote so high for a boring mess like this. Yes, Spring Breakers is boring. It is far too long for the quantity of content it presents. Thus it is also repetitive and annoying. The camera work is not less annoying either. The movie lacks any substantial plot. The characters are forgettable, it's hard even to remember their names throughout the movie, and some of the main characters (if not all of them?) are redundant. Why anyone who considers themselves knowledgeable about films would like this movie is beyond my understanding even if we label Harmony Korine's Spring Breakers a piece of art just for the sake of it. Spring Breakers is about four college girls (Vanessa Hudgens, Ashley Benson, Rachel Korine and Selena Gomez) who long for a spring break vacation. They do not have enough money so three of them decide to rob a restaurant in order to fund their adventure. The job is done and soon they are on the desired vacation. After having some intensive "fun" they quickly land in jail. A local criminal (James Franco) bails them out of the trouble and hopes to get something in return. From then on the mess becomes even bigger and the boredom unbearable. Having in mind the cast listed above, it's normal to not expect acting miracles from the actors. Add lack of a decent screenplay and performances are totally doomed. All of the girls behave inadequately to what they say and there is not a single character in the movie that demonstrates any integrity. I can understand if there are many viewers, which "like" the film only because of Selena Gomez or the rest of its attractive cast. What is hard to understand though is why the critique has not been harsher. 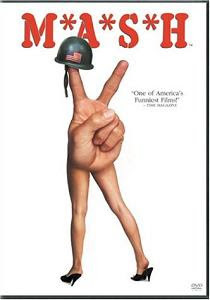 If this movie was released several decades ago it could be labelled audacious (like MASH, for example). Now it is not. The same is valid for the camera shots. I wouldn't call them innovative. They're just irritating. Selena Gomez's character is hardly in place in this movie and one can wonder why she's in it. The film is full of random events and random monologues, which I do not feel to be helpful at all. And in addition to the awfulness of the content, the amount of substance is so limited that it could work as a short film (perhaps?) but as a feature film it is just plain tedious. Labelling Spring Breakers "art" do not help either to appreciate the movie (at least it does not help me). I can call the film ambitious at best but this does not make it entertaining or brave. Seeing some mediocre movies is tolerable when someone has nothing better to do but it is hardly the case with this Harmony Korine's film. My humble recommendation is to avoid it at all costs if you are not among those people who have the special talent to enjoy something just because it is different.